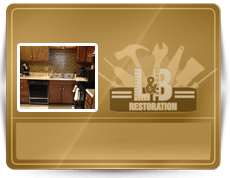 Restoration By L&B, LLC has all your bathroom remodeling services covered in Indianapolis, Indiana! Our qualified and insured general remodeling contractors have extensive experienced and training in home construction and renovation. We offer a wide range of bathroom remodeling services, and can provide the results you are looking for! 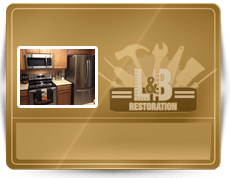 We handle everything from minor repairs and restorations, to full-service bathroom remodeling and reconstructions. 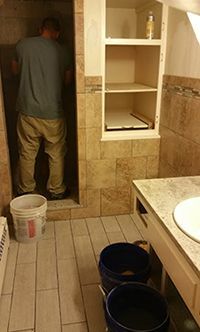 If you need new counter tops, lighting and electrical work, bathroom appliance installation and removal, floor installation, cabinetry, storage additions, tiled or ceramic shower walls, shower and bathtub installation, plumbing services, or anything in between, we can get it done all at a price you can afford! We are guaranteed to have the most competitive prices in town; but if you can find a better deal, we won’t just match it, we will beat it! 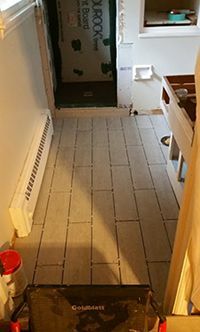 Call 317-454-3612 and receive estimates or information regarding bathroom remodeling services in Indianapolis, IN and its surrounding counties. 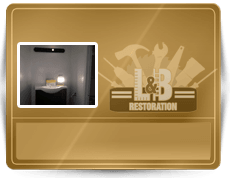 Whether you need to add an additional bathroom to your home, convert and old mud room into a guest bath, or simply renovation and update your existing bathroom, Restoration By L&B, LLC has the affordable solutions and services you are looking for! We can help you design a brand new bathroom, or add new fixtures and appliances to get that fresh new feel you desire. Updating a home is an essential part of protecting and enhancing your investment. If you have an outdated bathroom, old plumbing, or simply not enough storage space, it may be time to consider remodeling or renovating your property. If you have questions, or simply don’t know where to begin, start by calling our home restoration professionals at 317-454-3612 and scheduling an in-home consultation today! We want home and property owners to have a stress-free remodeling, repair, or renovation process at any cost. This is why we guarantee to offer the most competitive prices and best deals on home restoration and handyman services in Indianapolis. We guarantee this promise by matching and BEATING any competitors’ prices. And don’t think for one second that saving money means sacrificing workmanship and proficiency. Our highly trained, skilled, and qualified general contractors will meet and exceed all your bathroom remodel and repair expectations! We are always punctual, neatly dressed, friendly, and eager to help on every home visit or project. You can see our professionalism shine through, and understand our deep commitment to exceptional customer support, service, quality, and stability for our clients. 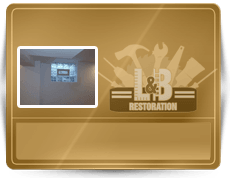 You know you can trust that you are receiving the finest bathroom remodeling, repair, and renovation services when you call Restoration By L&B, LLC in Indianapolis, IN. Call and speak directly with a live general contractor at 317-454-3612 anytime.